This isn’t an unusual move for carriers. T-Mobile has made a similar partnership with Netflix, Sprint has bundled Hulu and Tidal with its offerings, and AT&T offers WatchTV. However, the Apple-Verizon deal is valid only for six months, whereas the other carriers’ deals don’t expire. If you’re an iPhone user, the upcoming iOS 12 has a safety feature you might be interested in. If you’re ever in trouble and call 911, Apple has announced that your phone will automatically share its location data with first responders. According to CNET, this feature has been in the works since 2015 when Apple launched HELO, or Hybridized Emergency Location. HELO “uses a combination of cell data, GPS data and Wi-Fi access points to estimate the caller’s whereabouts.” The technology available via iOS 12 is called RapidSOS, and will securely share HELO data with 911 operators. Apple has promised that this data will only be used in emergency situations. This feature could be potentially life-saving. Without the process of the 911 operator having to figure out a location from the caller, this feature will allow responders to be dispatched more quickly and more accurately. As we all know, in an emergency, mere seconds can be the difference between life and death. iOS 12 will be released this fall. The solution is strange. If you take your iPhone X in tomorrow, citing these issues, chances are that the first thing they will do is try a repair procedure on the rear facing camera. However, the rear face camera does not impact Face ID. And if your Face ID simply isn’t working, back camera repaired or not, then Apple doesn’t seem to know exactly what’s wrong. Apple’s previous attempts at breaking into the news market have not been successful. For example, it created The Daily, an iPad exclusive publication that was shut down after only two years due to lack of an audience. But perhaps creating something more tailored that allows users to choose material of interest to them will prove a better business model; especially when considering the success of Apple Music. As of publication, Apple has not disclosed how much publishers are set to receive from Apple News’ potential revenue. As of April 13th, Firefox users on iOS can update their app to a version that includes tracking protection by default. This will prevent websites from tracking user data while on their iPhone, iPad, or other iOS device. The option to block tracking has been around for a while, but it’s activated through settings – meaning those not so tech savvy might have trouble using it. This is the first time that the feature will be available by default, protecting every user as soon as the app is updated. If you don’t use iOS, the block user tracking feature is also available for Android users, just not on by default. The update released April 13th also includes new iPad features such as drag and drop links, reordering tabs, and new keyboard shortcuts. Macs have long been considered a secure PC option, given that less malware is created to attack the less-used operating system. But that might be changing. Anti-malware security vendor Malwarebytes is warning users that malware attacks targeting the platform jumped 270 percent in 2017. While Apple platforms tend to be very secure, the truth is that they are not impenetrable. Cyber criminals are taking advantage of Mac users’ lax sense of security. “Apple’s macOS includes some good security features that are helpful, but they are easily bypassed by new malware,” Malwarebytes told Computer World. Avoid clicking links if you don’t know the sender. Understand the risk of public Wi-Fi, and don’t access confidential or financial services using such networks. Do not download software from unapproved App Stores. Run a virus scan now and then. Learn to use and understand Apple’s new privacy protection tools when they appear in iOS 11.3 and macOS 10.13.4. 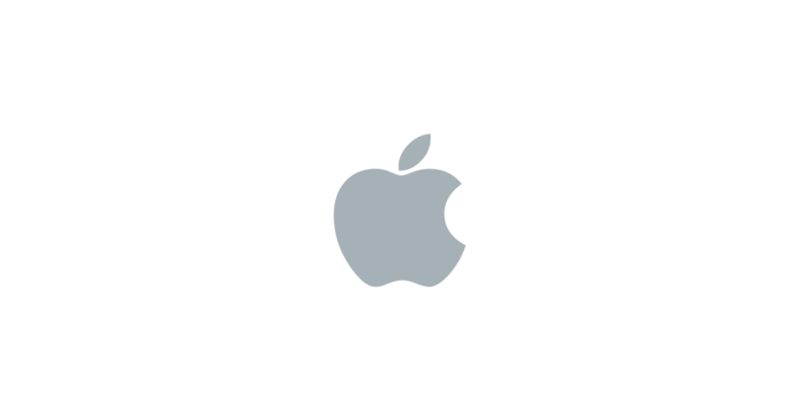 Read the Mac and iOS security guides. It’s one of those milestones that is supposed to be great – but also shows just how dominant Microsoft truly is in the personal computer market. According to Computer World, Apple’s Mac computers account for one in every ten personal computers used to access the internet over the last two months. A year ago, the number was 6.2% of the global user share. Another reason for the rise in popularity may have something to do with longevity of devices. On average, Mac owners tend to hold onto their PCs for longer than Windows owners. Although this means that more Windows systems are being purchased, Apple’s share would slowly build against them. After all the hullaballoo surrounding the release of the iPhone X last November, you might not be ready for news about the next generation of the popular Apple smartphone. But, as it turns out, Apple is. Company insiders announced that the California-based tech goliath is preparing to reveal a trio of new iPhones this fall. Is Apple trying to make up for lackluster sales with the iPhone X? Statistics have shown that Apple sold far below its projections of 80.2 million phones in the final quarter of 2017, reaching only 77.3 million units. The cheaper version of the iPhone X suggests that Apple listened to customers who were unhappy with the original device’s thousand dollar selling point. Apple has not commented on the situation officially, so we will likely have to wait until fall to see these new phones.